Feminine, sophisticated and a chock full of attitude, the new Clash de Cartier is designed to take a swipe at tradition. Whenever Cartier releases a new jewellery signature, the whole world stops, just for a minute, to admire the luxurious offerings, the classic trademarks, the unique architecture of shapes. 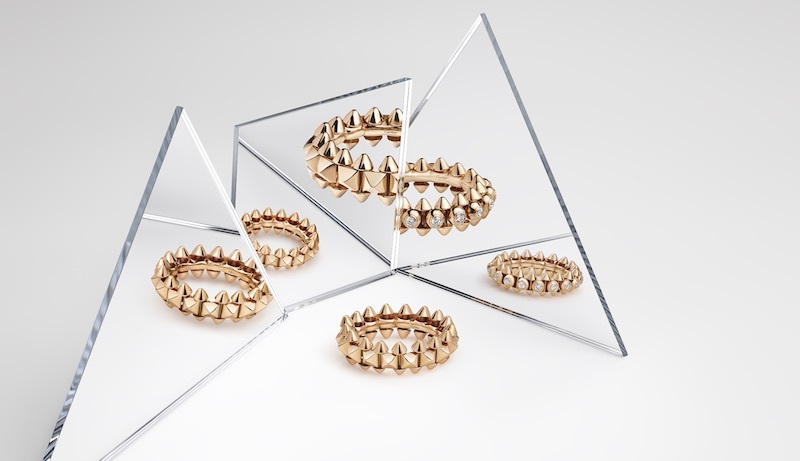 Understated and crafted in pink gold, the Clash de Cartier range features everything from beaded chain necklaces to 70s-throwback studded hoop earrings and subtle punk-inspired stackable rings — and honouring the Maison’s penchant for shapes from the 1930s — geometry. 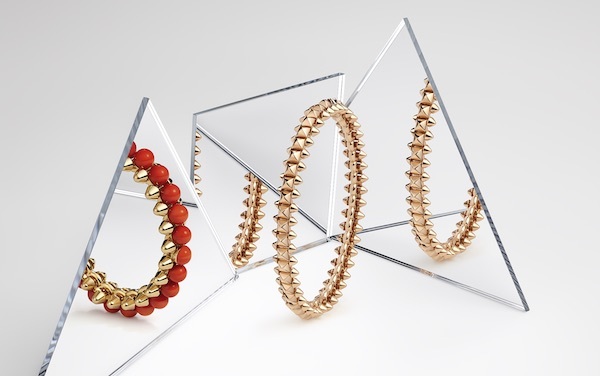 Stemming away from tradition, Cartier shakes it up with studs and clous carrés for the collection’s aesthetic, along with a bright pop of red beads. Two-sided jewel designs were also introduced. Earrings set with studs and the inner side soft to the touch take things up a notch. While we usually expect more refined (and predictable) pieces from the brand, the Clash de Cartier pursued the same route as the Juste Un Clou range which used the everyday nail as their key motif. On top of that, the pieces are calibrated to magnetise the studs together to form a singular, ribbed mesh. While mechanical, its architecture allows the interconnected components to transform into free-moving, polished pieces. Seeing how flawless it is to mix and match the pieces, we’d say don’t be shy and layer more. Clash de Cartier, from $2,920. Available online and in stores.